Surge tanks are essential additions to all competition cars. They ensure that fuel is always available when the engine needs it most -such as during high-g cornering and acceleration. This otherwise requires a fuel cell which is not street legal. These surge tank systems make fuel cells unnecessary with respects to fuel availability/delivery. They also make sense for street vehicles with radically-prepared engines. When demand is extreme, these dual pump systems deliver massive amounts of fuel and can maintain significant pressure before flow capability is negatively effected. It is often convenient to power the first pump off the main pump circuit and trigger the second with a boost pressure switch. 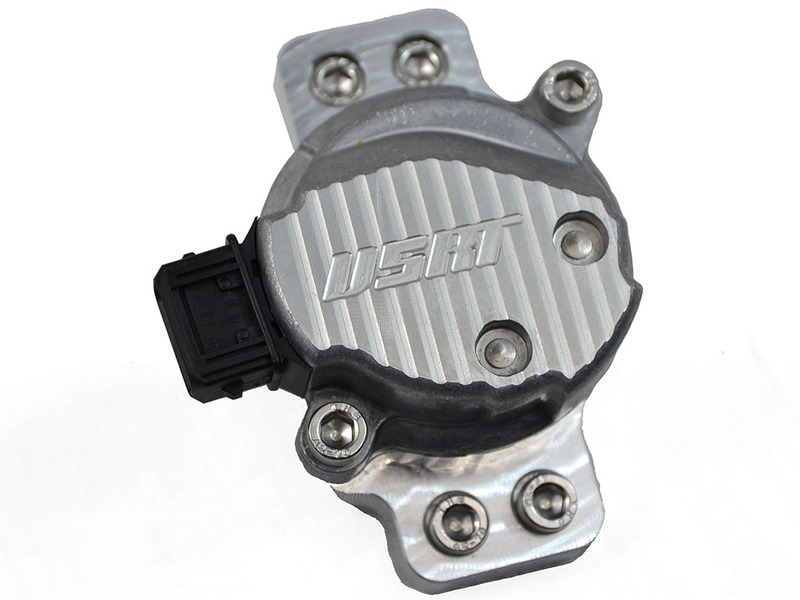 This improves overall efficiency, prolongs pump life, reduces noise, and puts less heat in the fuel. Rally car builders are wise to utilize the second fuel pump as a back up in case the first fails out on a stage or during transit. Contact USRT if you would like a custom-built version of our HD pump wiring harnesses. Even cars with lower output engines can benefit by running exagerated fuel pressures (e.g. 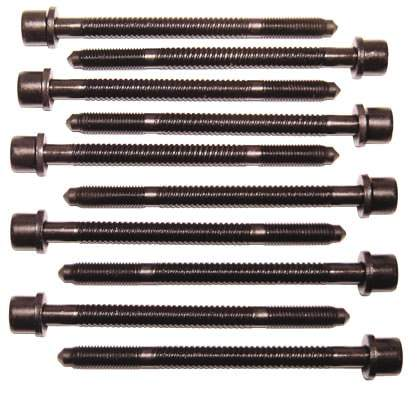 6 or even 10bar). 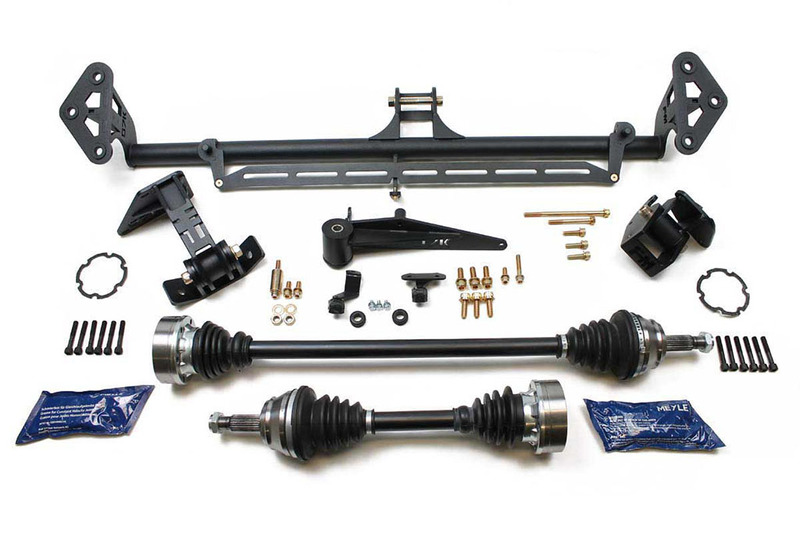 This may be set via a special order FueLab regulator and paired with special smaller injectors (available through USRT). 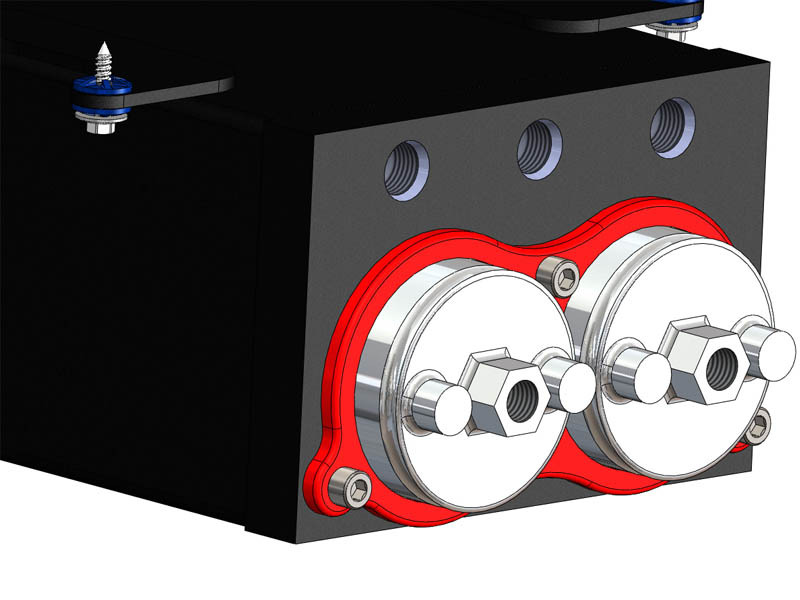 Increased fuel pressure compensates for the reduced flow rating, and desired flow is retained. However, atomization becomes extraordinarily fine. Droplet size will more closely resemble that from a carburetor. The resut is a significant surge in low to midrange torque as well as radically cleaner exhaust emissions. Surge tanks work by filling up with fuel from the OEM in tank pump. The heavy duty pumps draw from this reservoir. Fuel is only returned to the main tank when the surge tank is 100% full, thus providing a steady supply of fuel. 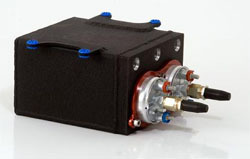 Traditionally, the surge tank is just a can with various inputs and outputs for fuel. We stepped that up a level with solutions for 2 different problems in mind. This tank houses the Bosch 044s over 75% inside the tank, using the fuel itself to muffle the noise. It also cools the pump in this manner for extra reliability and more consistent fuel/pressure curve. The CNC-machined front cover plate is carefully engineered . 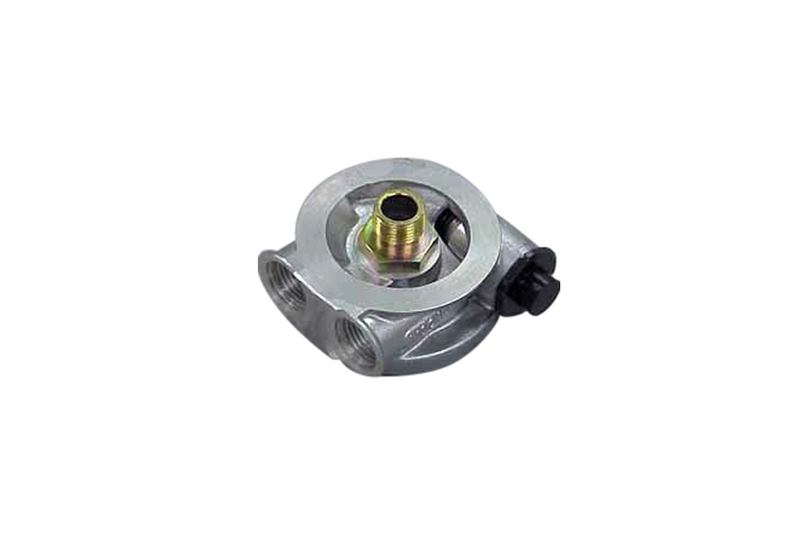 It accepts and locates the Bosch pumps with an o- ring seals. Provisions for 3 x -6AN o-ring boss inputs/outputs for are supplied to accept your finishing plumbing. The result is a leak-proof system that will last the car's lifetime even under rally/race conditions. Attention has been paid to fine details: The back of this plate is fully pocketed to remove excess weight. 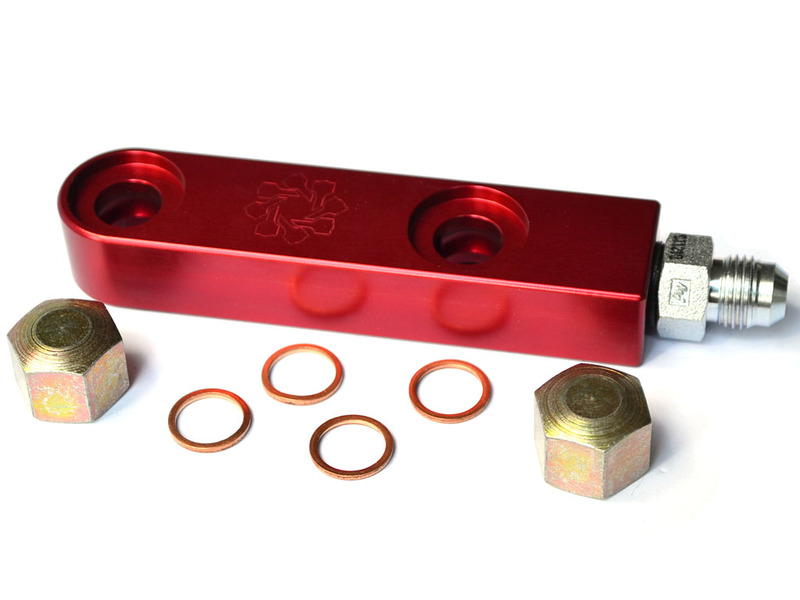 A red anodized / CNC-machined clamp plate is included to retain the pump. 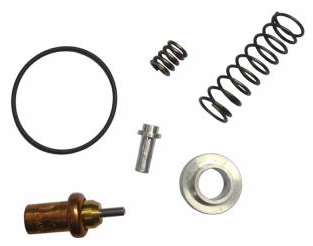 This is for the tank/pump combo, which include the Billet surge tank kit and dual Bosch 044 fuel pumps! Save money by purchasing them together in this combo!